Do you have questions about pet sitting services? Here you’ll find a list of answers to some of our most frequently asked questions. If you do not find what you are looking for here, please feel free to call us at (480) 588-1364. Where Does TLC Pet & House Sitters Provide Services? We care for your pet in your home. TLC provides house and pet sitting services in Chandler, Gilbert, Tempe, Mesa and Scottsdale. Our service area is limited based on where our sitters are located so that each sitter can be there for your pets in a timely manner and on a regular basis. Why Choose TLC House & Pet Sitting Service? We tailor our services to your pets’ needs in your home while you are away. TLC’s services are designed to maintain your natural home environment. With over 20 years of experience, our mission is to provide qualified, experienced, trusted and personalized pet care which offers peace-of-mind and exceptional service. The care we provide will eliminate your pet’s anxiety associated with a boarding facility, decrease their exposure to illness, maintain their normal diet, and ensure they are comfortable while in their own home. We will ‘treat’ your pets as though you have never left! Pet Health and Safety FIRST! Many of our clients own second homes, rental properties, and/or investment properties in the Phoenix East Valley, including Scottsdale, Paradise Valley, Tempe, Chandler, Gilbert, and Mesa, but do not live in the Valley year-round. To protect their valuable investments, our clients rely on our professional house-sitting services. Our house sitters will visit the home as needed (weekly, bi-weekly or monthly) and perform a thorough check of the property. Our sitters will also oversee any other home-care services you have contracted, such as yard, cleaning, or pool care and will verify that the services are performed to the client’s satisfaction. Clients have peace-of-mind in knowing that their most valuable investments are under the care of our experienced, trustworthy, and reliable sitters. We tailor our services to each client’s home or condo. We work with home and pet owners in the East Valley area of Phoenix, Arizona, who are searching for top-quality pet care and true peace of mind while they travel or when they must leave their pets for long hours due to work or other obligations. We leverage our years of experience and education to develop an extraordinary pet care service that truly provides pet owners with peace of mind that their pets and their homes are being well-cared for in their absence. We created our service to ensure that every one of our clients receives the BEST possible service and overall experience. TLC is covered by an Employee Dishonesty Bond. A dishonesty bond gives you peace of mind that you will be reimbursed if anything is stolen from your home. We also carry liability insurance policy that protects from financial loss in the event that we were liable for accidents that occur while caring for your pets or your home. We are happy to provide our clients with proof of insurance and our bond. We are bonded and insured with Business insurers of the Carolinas. If you would like to contact them directly to verify our policy, feel free to call 800-962-4611 (note, they are located in Eastern Standard Time). TLC is committed to keeping all information we receive from our clients confidential and will not disclose any of your personal information. We will only use your information to take excellent care of your pets and home while you are away. We do not sell your information to any third party; and all your information is stored safely. Any keys left with us are locked away when not in use and are coded and kept separately from your personal home and pet information. You want to know that your pets and your home will be cared for to your exact specifications. We guarantee it every time! If you are not 100% satisfied with the service that was provided, we will gladly address your concerns. We believe in lasting client relationships, so our service is only complete when you return home and are completely satisfied. Yes, references are available upon request. You may also visit our Testimonials page to read what some of our clients have said about TLC. We screen all applicants and conduct a face-to-face interview. Then we conduct a full criminal background check for those applicants under consideration using a national service. We call all professional and personal references. After this rigorous vetting process, if a sitter is accepted to work for TLC, they are required to earn their Pet First Aid and CPR Certifications if they do not already have them. Once a sitter works for TLC, we solicit ongoing feedback to make certain that they are living up to the standards of TLC House & Pet Sitting Services. Do you offer boarding services for pets? No, we do not board animals. TLC is an alternative to boarding. Our professional Pet Sitters come to your home and care for your pets in their natural home environment. How do Pet Sitting services work? We provide personalized care for your pets in your home while you are away. One of our professional pet sitters will meet with you before your services begin to get acquainted with you and your pets. Based on your specifications, your sitter will then visit and care for your home and pet up to three times per day and/or stay overnight in your home while you are away. To get started, call TLC to set up a FREE consultation at 480-588-1DOG (1364) and complete the New Client Request Form on our website. What types of services do you offer, and what do they include? We offer Pet Care Visits, Dog Walking, and House-Sitting services. See our complete list of services at http://tlcpetsitter.com/all-services/. For your Pet: Fresh food and water, a potty break, playtime, a clean litter box, lots of TLC, and more. For your Home: we may pick up your mail, rotate lights, water household plants, and take out the trash. When will my Pet Sitter arrive and how long does a Pet Care Visit last? A Pet Care or Dog-Walking Visit will typically last 20-45 minutes. Overnight Visits are 10-12 hours. Each visit is special and tailored for your pet’s needs. More time may be necessary depending on the specific needs of your pet and/or home. We make every effort to arrive within 2 hours of the agreed upon visit time, however, if you are booking a cat visit for the morning and it is a peak time, such as a holiday, we may arrive later in the morning because we may need to get to dog visits first – unless of course you have a cat that needs medicine at a critical time. If time is critical, please let us know. Please see our Pet Care Visit page on our website or contact us for more information. Does TLC administer pet medications? We will administer veterinarian-prescribed medication only at no additional charge, including: pills, drops, and injections. I have a special needs pet. Can you accommodate special requests? As professional pet sitters, we are prepared to care for pets of all ages, sizes, temperaments and needs. Please contact us to further discuss your pet’s individual needs and our availability. My dog is not comfortable with men. Can I have only female sitters? Yes, if a female pet sitter is available in your area, we will accommodate that need. What if my dog has anxiety or can be aggressive? If your dog has anxiety or aggression issues, your pet sitter will evaluate your pet’s needs during the initial Consultation to see if their behavior is something we feel is dangerous or something we can accommodate. It is TLC’s policy that our pet sitters will ONLY use positive reinforcement with the pets in our care. We will never hit, spank, slap, yank the leash, yell at, shock, or grab your pet. If there is a disciplinary problem, such as toilet training issues, running away, etc., we will inform you of the incident(s) and together we will work out a solution for your pets. Yes. Your pet sitter will do a walkthrough of your home to check for accidents and will clean up any pet messes to the best of their ability. If there are frequent accidents, indicating that your pet needs more potty breaks, we will ask you to book an additional visit during the day. What happens if I did not leave enough food for my pets? We will notify you that there is not enough food so that you are aware and perhaps you have more food in another place in your home. If we do need to make a special trip to purchase food, we will be glad to do so. There will be a trip charge plus the cost of the food. Your credit card will be charged. If an extra trip to your home is needed for an extra visit to feed your pets, that will be charged as well. TLC is prepared to deal with any emergency that may arise. At the consultation, we ask our clients to fill out and sign a veterinarian release form, so we are aware of your preferences for emergency care before you leave. In the event of an emergency, we will make every effort to reach you before taking your pet to the veterinarian or evacuating them during a natural disaster. We also have back-up sitters, so if your sitter is ill, we can continue service without any interruption. In addition, we have online software with all of your pet and home needs so we can continue care that is needed. If your pet sitter suspects that something is wrong with your pet, we will call you at the emergency phone numbers we have on file. If you believe the veterinarian should see the pet, we will transport him to the veterinarian’s office for examination and treatment. In the event we cannot reach you, we will decide if the veterinarian should see your pet. If necessary, we will take your pet for treatment. You will be billed for any extra time we spend for these services, in addition to the vet bill. Can I contact my Pet Sitter to find out how my pets are doing? Yes, you may speak to or text your pet sitter directly or call our office and we will be happy to update you on your pet’s well-being. In addition, we use LeashTime, which will notify you in real-time whenever your sitter arrives at and leaves your home. Your sitter will also use this system to send a written log via email regarding your pets’ interaction and their time together during each visit. They will track behavior, potty break activity, appetite, and overall health, among other things. Your sitter can even send you a photo of your pet. How do I know when my Sitter was at my home? Our online software, LeashTime, will automatically notify you when your sitter arrives at your home. After they complete their visit you will be notified of the date and time of the completed visit along with notes from the visit. Will I have the same Pet Sitter/Dog Walker each time? When you request services, a main sitter and a back-up sitter will be assigned to you, based on your location and services requested. Every effort is made to ensure that your pets receive care from either your main sitter or your back-up sitter. During holidays, reservations are made on a first-come-first-served basis. Therefore, we cannot guarantee that your main sitter will be available during holidays. Please provide as much notice as possible to make sure your main sitter is available. What if my main Pet Sitter/Dog Walker is not available? TLC assigns one of our other wonderful staff members who are happy to care for your pets in the instance that your main pet sitter is not available. This is one reason why It is imperative that you update your client and pet profile regularly to ensure that your back-up pet sitter is adequately prepared to care for your pets. How do I get started with TLC? Start by calling our office at 480-588-1DOG (1364) or go to www.tlcpetsitter.com and fill out the New Client Request Form. This form asks for your name, contact information, basic pet information, and what kinds of services interest you. Someone from our office will call you and review your request for services. If we have a sitter available in your area, the office will set up your account and schedule services for pet sitting with TLC. They will also send you copies of our Service Agreement and Vet Release Form for your signatures, as well as a login and temporary password to your online TLC profile. Please complete the profile as soon as possible. You will need to establish a permanent password and enter your credit card information before moving on to entering information about your pets. We will NOT charge your card until you have completed your initial Pet Sitter Consultation and scheduled services. The online profile will contain detailed information about your pets, their habits, needs veterinarian, etc. This will enable TLC to assign the best Pet Sitter for your needs. Next, your assigned professional Pet Sitter will contact you to schedule an initial consultation. Do I Meet My Pet Sitter Before Services Begin? Yes. Once you have completed your New Client Request Form, TLC will assign a Pet Sitter to you based on your needs. Your new sitter will then schedule a FREE initial Pet Sitting Consultation with you that is REQUIRED before services can begin. During the Consultation, you and your sitter can get acquainted and your Sitter will meet your pets and learn about your home. You will discuss your pet’s routines, any medications they may need, where you store pet food and treats, and will arrange access to your home via the method of your choice, etc. Without a consultation, our sitters would not be able to offer such quality, trusted, and personalized care. Here is a Checklist to help you prepare for your consultation. How Much Notice Does TLC Require When I Make a Reservation? For new clients, we suggest that you call 480-588-1DOG (1364) or submit your request on-line as soon as possible. We must schedule the initial FREE consultation before we start services. We prefer at least two weeks’ notice, preferably more, for new clients for non-holiday reservations, and 4- 6 weeks for major holidays. We will do our best to accommodate every inquiry. For current clients, one weeks’ notice is preferred except for holiday reservations, which require 2 weeks’ notice. As soon as you know when you will be gone, please call, e-mail, or submit your reservation using our Current Client Request form online. Holidays book up quickly, so please make your reservation early! How will the Pet Sitter get into my house? Your Pet Sitter will need access to your home, so please prepare to grant access at your Pet Sitting Consultation. TLC prefers that you use a lockbox with a set of TESTED keys in it for your TLC Sitter. This is a secure way for your keys to be available to your regular sitter, or for an alternate sitter or in case of an emergency. We do have combination lock boxes for sale in the TLC office for sale, for your convenience. If you have a security system and would like your pet sitter to use the “babysitter” code, please arrange this access with your alarm company BEFORE your sitter is scheduled to arrive for visits. I live in a secure building/complex, how is that handled? Please make arrangements to give your sitter access to your building in advance. Once you have gone through the initial registration steps and completed your Pet Sitting Consultation, you may call our office or submit requests visits through our online scheduling software using the Current Client Requests form. Once your request is approved, you will receive an email confirmation with “Payment Due” in the subject line. Can I schedule services through my Pet Sitter? No. 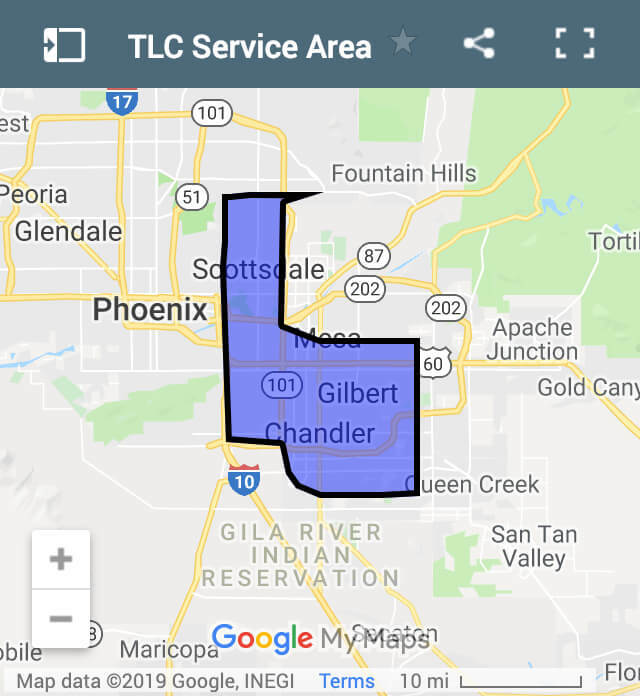 All visits must be booked through our office or our online booking system Current client Request or email us at info@tlcpetsitter.com or call us at 480-588-1364 Monday- Friday during our office hours. Your visits will NOT be covered under our liability insurance if you do not book through TLC. You may have your sitter’s cell phone number for other communications, but please contact the office for bookings and cancellations. It is fine if you would like to let your sitter know you may not need a visit, as a courtesy to them, but please understand that all reservations and cancellations must go through our office. TLC Sitters do not have access to your account, and cannot make changes or adjust your payment amounts. We work with our clients to create the best value and care for your pets and home. The cost will vary based on the frequency of visits and types of personalized services. Please call our office for a personal quote and most current rates at 480-588-1364 (1DOG) Ext. 0. All services are paid in full prior to pet sitting services preferably using any major credit card, although we do accept checks with prior approval from the office. Do You Take Last Minute Requests? We understand last minute changes occur, so feel free to call if an unexpected need arises, and we will make every attempt to accommodate your needs. Your regular TLC Pet Sitter or Dog Walker may not be available if you schedule at the last minute. If you are an existing client requesting visits with less than three (3) Business Days’ notice, please fill out our online Visit Request form Current Clients and/or call our Urgent line at 480-588-1364 ext 1. If you have not received a confirmation within 2 business days, please call us to be sure we received your request. Holiday or Overnight requests with less than one week notice prior to TLC holiday’s day or your departure date are subject to a last minute/emergency visit/consult fee. Refer to our Service Rate Sheet for fees, which can change without notice. Ask for a quote for accurate rates. Is There an Additional Charge for Holidays? Yes, Services performed on holidays incur a per-visit surcharge for daily/ vacation visits and – for overnight visits to ensure that our team receive a bonus for working while others celebrate. TLC observes nine holidays annually, including: Easter (American), Memorial Day, Independence Day, Labor Day, Thanksgiving Day, Christmas Eve, Christmas Day, New Year’s Eve and New Year’s Day. Will I receive a refund if I leave later than expected or return early? No. When you schedule Pet Sitting Visits, we have reserved those times for your visits and may have turned other people down to allow time for your pets. We appreciate your understanding in this matter. There will be no refunds. Cancellations for pet sitting must be made in advance of your scheduled service. We require one week’s notice before you leave on your trip for cancellation of non-holiday daily/vacation visits and two (2) weeks’ notice for holiday reservations and overnight visits. There will be no refunds once service begins. All credits expire twelve months from the date of cancellation. With a few exceptions, we do not offer refunds and ask that you verify all reservation requests for accuracy prior to submitting them. We do offer credit on your account for future use. Contact us as soon as you get home via our 24-hour voicemail service and leave a message for your sitter. Call us when you actually get home – not when you get off the plane, because accidents can happen. Once we get your message, we will know that you have returned home safely and that your pets are secure. If we don’t hear from you, we will assume you have been delayed, and that your pets will need continued care. If you forget to call, and your sitter visits your home to care for your pets, you will be charged for that visit. Can I Tip My Pet Sitter? You are welcome to reward your pet sitter for a job well done by leaving a tip for them directly. You may also mail a gratuity to our office in Chandler. Include your pet sitter’s name inside on the check or gift card. We thank you for your generosity!